All Other Times of the Week: Fr. 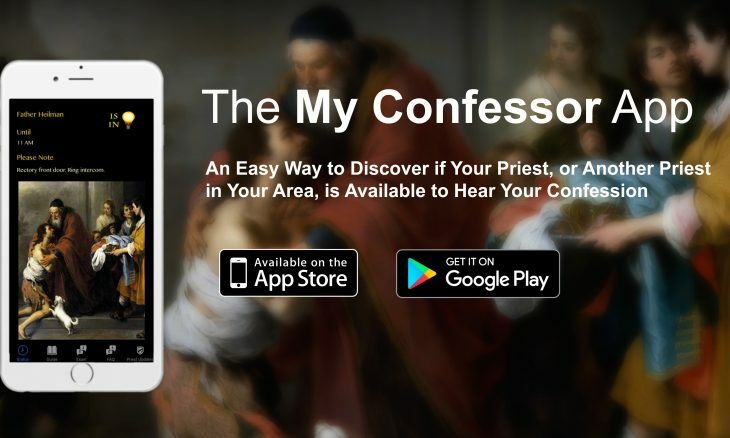 Heilman wishes to be very available for Confession, so he has developed an app for checking his availability. He has also built a Confessional in his front foyer of his rectory, which allows for anonymous Confessions. If you are not using the app, you may call him anytime at 608-798-4644 to see if he is available. 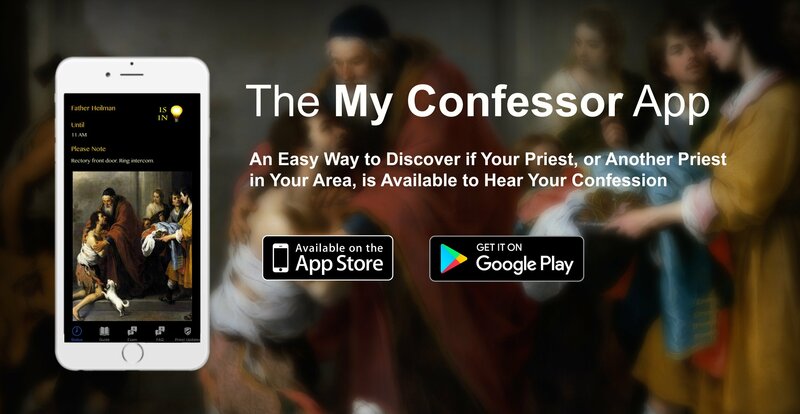 You can download the “My Confessor App” here. All sin is an offense against God and a rejection of his perfect love and justice. Yet, Jesus makes a distinction between two types of sins. We call the most serious and grave sins, mortal sins. Mortal sins destroy the grace of God in the heart of the sinner. By their very grave nature, a mortal sin cuts our relationship off from God and turns man away from his creator. St. Paul’s letter to the Hebrews tell us that “if we sin willfully after having the knowledge of the truth, there is now left no sacrifice for sins” (Hebrews 10:26). The second type of sin, venial sin, that of less grave matter, does not cut us off from Christ. However, venial sin does weaken grace in the soul and damages our relationship with God. A person who frequently indulges in venial sin is very likely to collapse into mortal sin if they persist in their evil ways. I confess to God Almighty and to you, Father. It has been ___________ (days, weeks, months, years) since my last confession. For these and all the sins that I can’t remember, and all the sins of my past life (you can specify one or another), I ask pardon of God and penance and absolution of you, Father. The priest then may give you some words of advise and he gives you a penance. Then you say your act of contrition. O my God, I am heartily sorry for having offended Thee and I detest all my sins because I dread the loss of heaven and the pains of hell but most of all because they offend Thee, my God, who art so good and deserving of all my love. I firmly resolve, with the help of thy grace, to confess my sins, to do penance and to amend my life. Amen. The priest gives the absolution. Before leaving, say to the priest: Thank you, Father.